On March 12, 2018, a plane of a Bangladeshi company US-Bangla Airlines has crashed in Tribhuvan International Airport (TIA) in Kathmandu, during an attempt to land. The aircraft caught fire while flying for reasons which are unknown yet. The fire was put out within a minute by the emergency team of the airport. The Nepalese army helped in extracting people from the wreckage. 20 of the people aboard were rescued according to a representative of the airport, without giving further details about the rest of the passengers and crew. They have been transported to the nearest hospital. The plane was a Bombardier Dash 8 Q400 and was flying from Dacca to Kathmandu. All other flights to and from the airport are suspended. 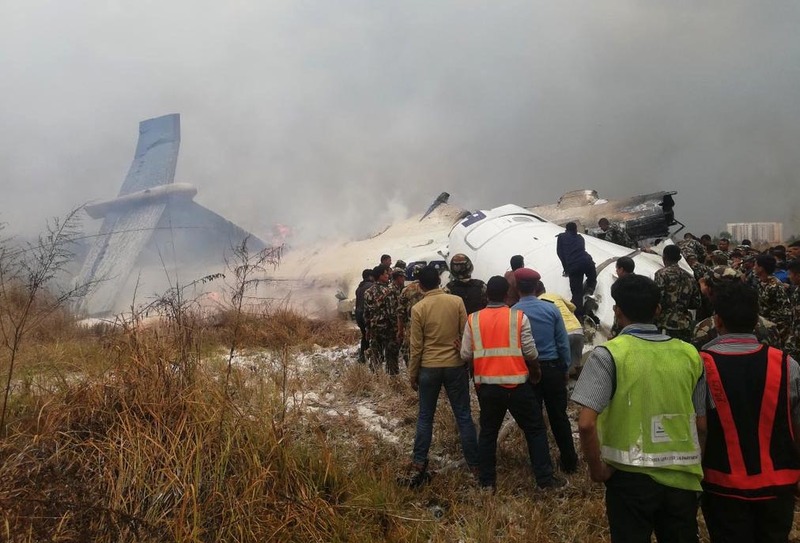 Plane crashes are becoming more and more frequent in Nepal. International observers are blaming inexperienced pilots and poor maintenance procedures.